Roller coasters represent America's finest opportunity for unleashing guttural, primal screams like an absolute maniac, as doing so at the community pool will probably lead to some teenage lifeguard politely asking you to leave. But on a roller coaster? You're free to maniacally embrace that rush of adrenaline and dopamine safely among like-minded individuals pursuing the exact same thing. The better the roller coaster, the bigger the rush. But what makes one coaster better than another? It's a combination of factors, including (but not restricted to) height, speed, G-forces, airtime, the ride's elements, and its layout. As a longtime roller coaster aficionado, I've curated the following list based partly on said stats, but mostly, it's based on the "research" I've conducted by riding and re-riding dozens of coasters of all shapes and sizes throughout the country. Essentially, I'm little more than a mass of adrenaline and dopamine at this point. If that sounds good to you, here's where you should start. First up is a ride that illustrates how coasters have been evolving lately. 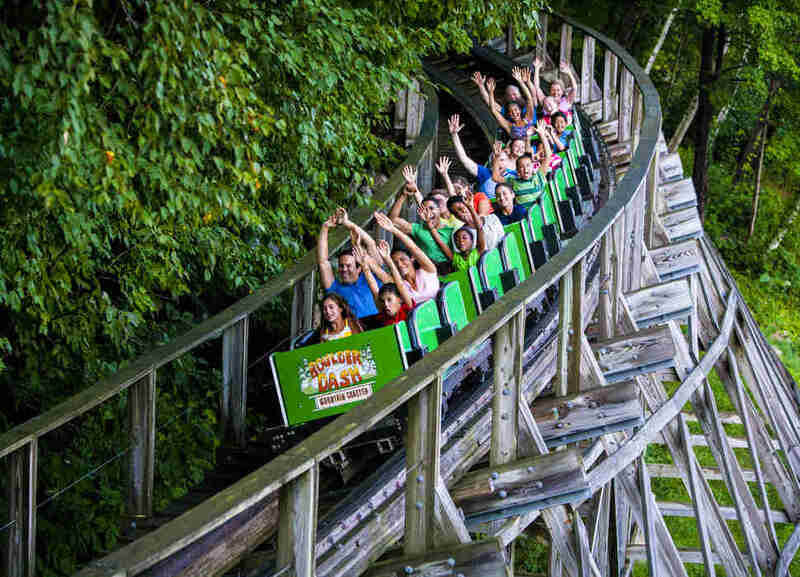 Instead of the thin metal rails that are used in traditional wooden constructions, Goliath features a thicker and wider metal covering known as "Topper Track." 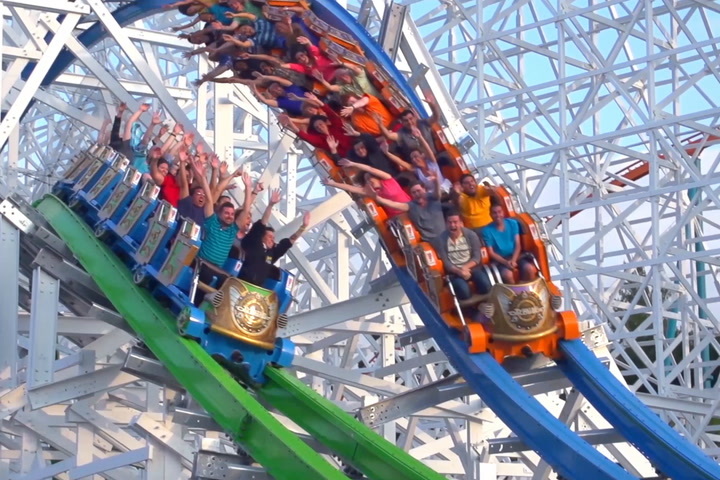 When the ride debuted in 2014, its innovative track helped make it the world's tallest (180-foot drop), steepest (85 degrees), and fastest (72 mph) wooden coaster. Oh, and it does something else older woodies can't do: go upside down. Its "zero-G stall" leaves you hanging head over heels for what feels like forever, an inversion made even more intense by Goliath's lack of shoulder restraints. There are multiple bigger and faster rides at the self-proclaimed "Roller Coaster Capital of the World." 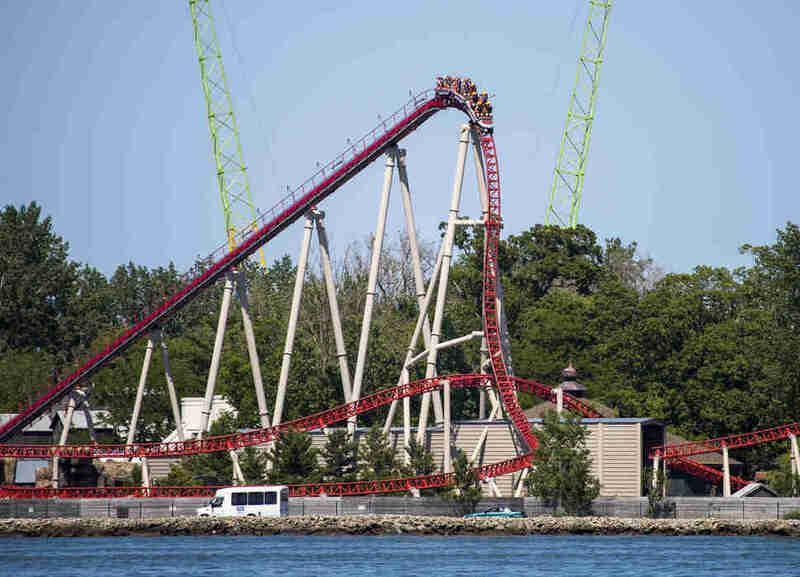 But Cedar Point's Maverick proves that size isn't everything. Using magnetic motors, the train blasts out of the loading station, up the lift hill, and down a 100-foot drop at a freaky 95-degrees. (That's beyond straight down.) Halfway through, Maverick comes to a halt in a tunnel and launches again, this time at 70 mph. Despite the launches, inversions, and over-banked curves, the ride is gloriously smooth. Known as a terrain coaster, this woodie has almost no supporting structure and instead stays close to the ground. The ground upon which Boulder Dash is built, however, is the mountain that runs along one side of Lake Compounce. Hugging the hilly terrain and tearing past trees and, yes, boulders, the ride feels much faster than its 60-mph top speed. Barely losing any of its power, the train screams into the final brake run before depositing its breathless riders. I'm a seasoned roller coaster pro, but X2 is so intense it even gives me the chills. Riders climb 175 feet facing backwards and drop 215 feet nearly straight down. That's crazy enough, but passengers can't tell which end is up. That's because the seats are arranged on either side of the tracks (or the ride’s "wings") and horizontally spin 360 degrees backwards and forwards independent of the train's movement (in what the park calls the "fifth dimension"). Imagine rotating nonsensically, barreling along at 76 mph, hitting inversions while your seat is already upside down, and enduring the crush of 4 Gs all while listening to a heavy metal soundtrack that blares out of the onboard speakers. You're right, it's pretty tough to imagine. Just go ride it. 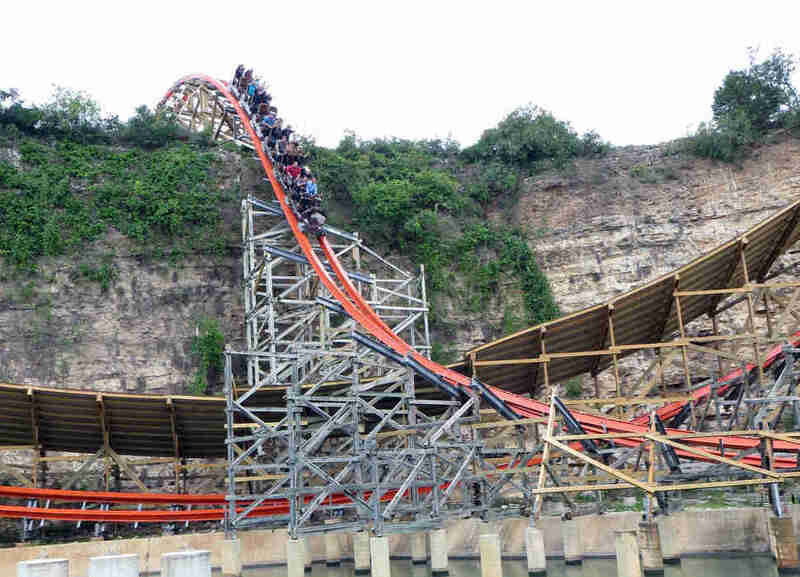 The same pioneering ride manufacturer that designed and built Goliath took the notoriously rough Rattler wooden coaster, replaced its wooden track with a new kind of "I-Box" steel track, modified the course to make the first drop longer (171 feet), steeper (81 degrees), and faster (70 mph), and added a barrel roll inversion. The result? The newfangled wooden-steel hybrid is now wonderfully smooth and an absolute pleasure to ride. The fact that it is built into a scenic limestone quarry wall is just a bonus. You know that butterflies-in-your-stomach sensation known as "airtime?" 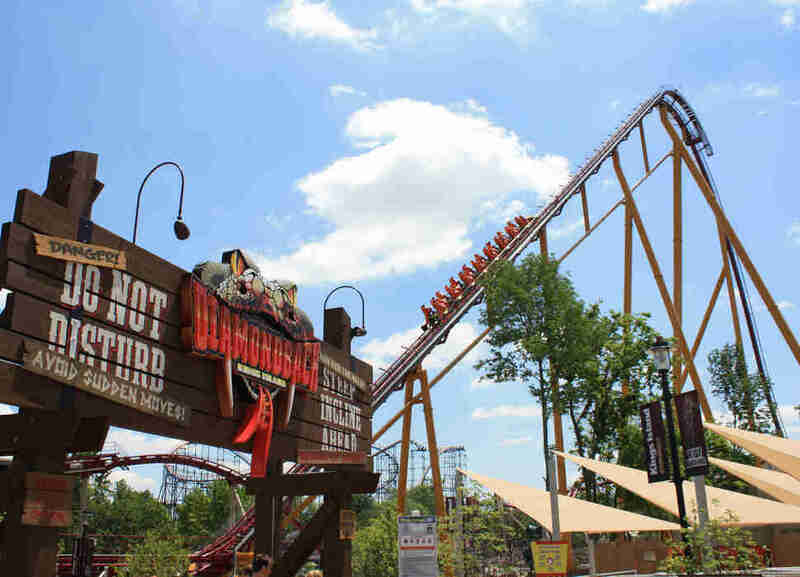 Coaster fans crave it, and Diamondback delivers tons of it. Known as a "hypercoaster" (roughly defined as a steel coaster that's about 200 feet tall, has no inversions, and is designed for speed and airtime), the screamer hits 80 mph and includes a cool splash effect for its finale that shoots a plume of water as the train slithers through a lagoon. 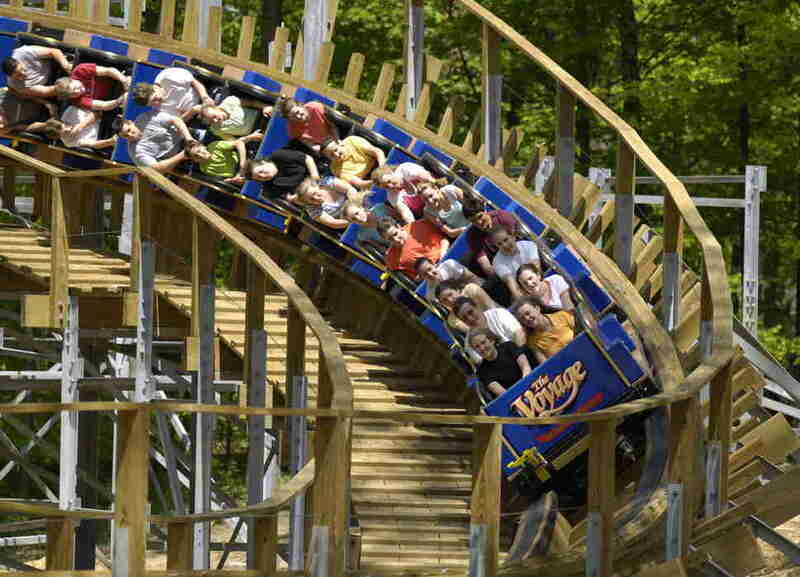 One of a trio of highly regarded wooden coasters at Holiday World, The Voyage is the park’s most extreme. It drops 154 feet, accelerates to 67 mph, and delivers over 24 seconds of airtime -- more than any other woodie. It also dives underground eight times, including a subterranean "triple-down" in which the train descends three times in succession in total darkness. It may have opened in 1999, but Apollo's Chariot, one of the early hypercoasters, still holds up and remains remarkably smooth. Dropping 210 feet and hitting 73 mph, the ride features a series of hills that pour on the airtime. Busch Gardens boasts an impressive collection of thrilling rides, but Apollo's Chariot remains the best of the bunch. Like Goliath, Lightning Rod features Topper Track and is surprisingly smooth for a wooden coaster. 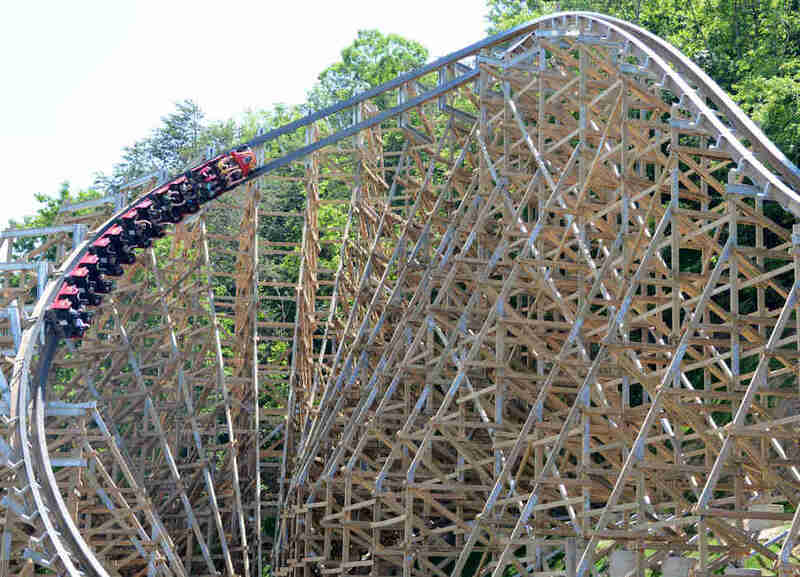 Unlike Goliath (and every other wooden coaster), the Dollywood ride is the first to feature a magnetic launch. Opened in 2016, it set the new record for fastest woodie (73 mph) and became an instant classic. Among its highlights, it does The Voyage one better with a quadruple-down element. How can Superman climb 208 feet but drop 221 feet? For its first drop, it dives into a fog-filled underground tunnel (at a heady 77 mph, no less). 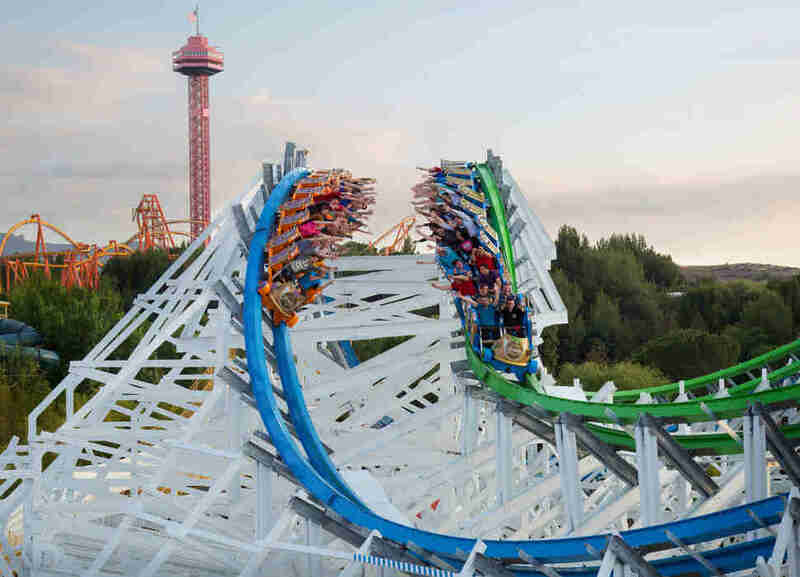 Choreographed with soaring airtime moments, a round-and-round-we-go double helix, a second tunnel dive, and other elements, the Six Flags hypercoaster has a near-perfect layout and pacing. 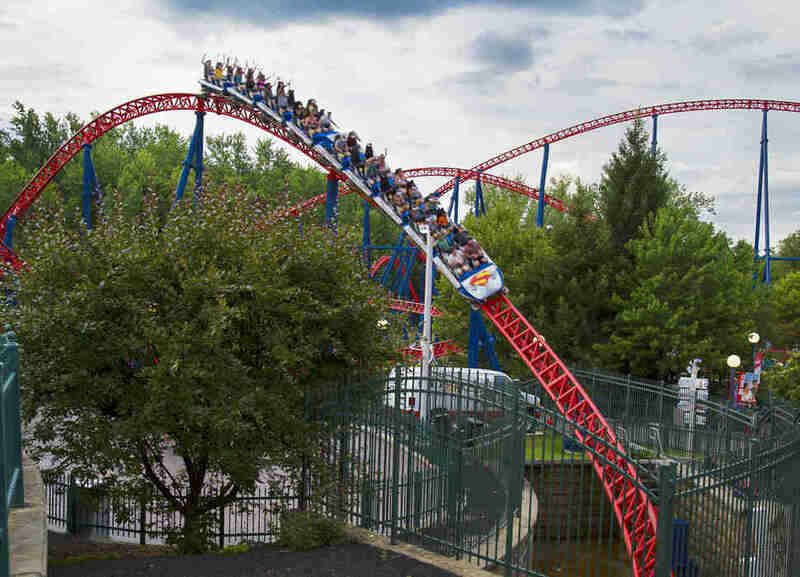 It is, in my estimation, the country’s best steel coaster, befitting its Man of Steel moniker. I said at the outset that a number of factors combine to make a great coaster, but airtime often leads the list. There are two types of coaster airtime: floater and ejector. Rides like Apollo's Chariot deliver gentler floater air. El Toro dishes out the most potent ejector air I've ever experienced. It also includes a number of over-banked turns that toss riders back and forth unmercifully. Incongruously, however, El Toro is also one of the smoothest coasters I've ridden. The smoothness factor is all the more curious because it is a wooden coaster (which tend to be rougher). But not just any wooden coaster. 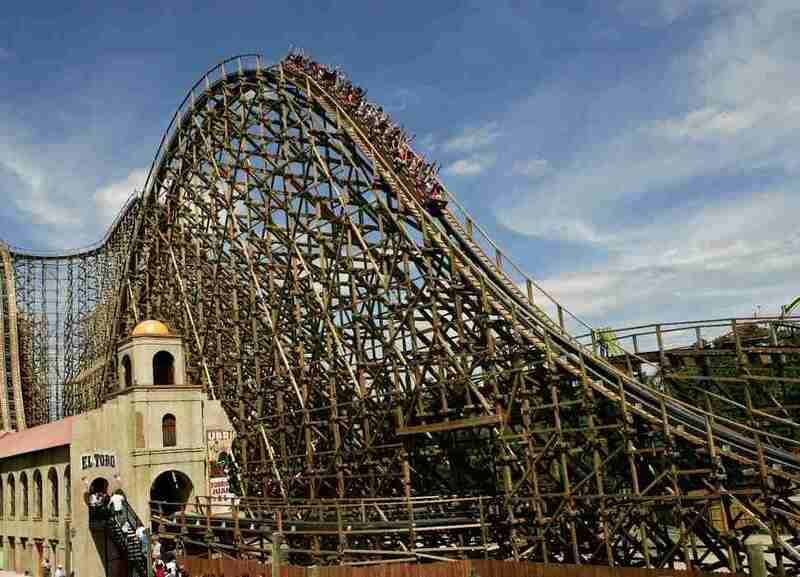 El Toro is one of a handful of woodies in the world (and the only one in the US) to incorporate prefabricated track. The unique track, apparently, helps make it somehow simultaneously smooth and out-of-control crazy. Another past-its-prime woodie that got an I-Box steel track makeover, Twisted Colossus is hybrid coaster nirvana. It used to be a twin-track racing ride (known simply as Colossus), but its designers recast it as an extra-long, single-track coaster. Twisted Colossus still features two lift hills, but passengers now get to experience both in one Möbius-strip ride. If the ride operators are able to time the dispatches, the trains can "race" one another. 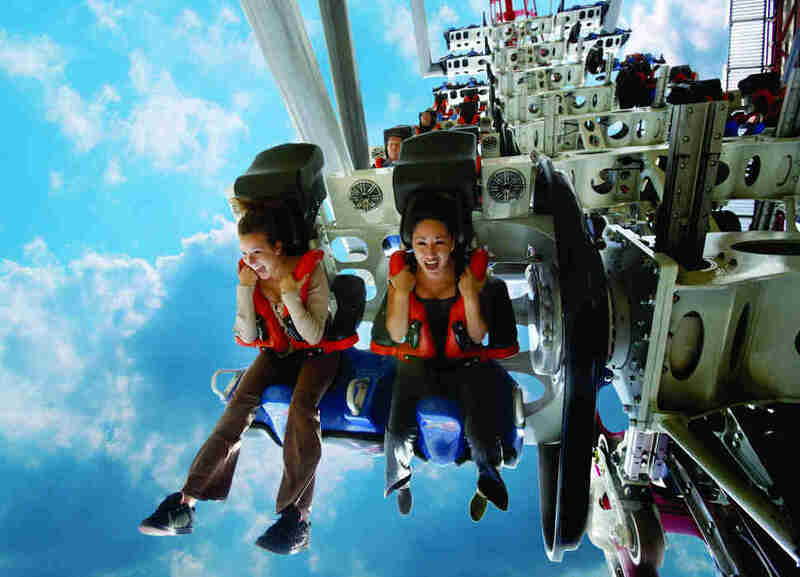 They can also experience a "Top Gun Stall" in which one train heads right-side-up, while a second train proceeds directly above it, but upside down. Regardless, everyone gets an ultra-smooth ride with two 80-degree drops and hefty doses of sweet, sweet airtime. It's everything you could want in a coaster. A travel writer who specializes in the amusement industry, Arthur Levine has been the Theme Parks "expert" at About.com (now TripSavvy.com) since 2002. Follow his next ride @aboutthemeparks.